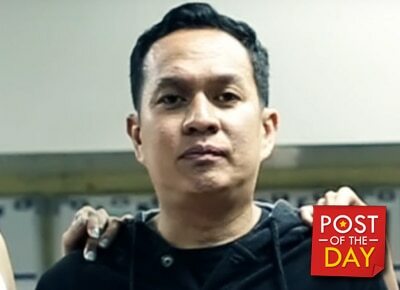 Filipino stand-up comedian Alex Calleja is leading in the semi-final round of Laugh Factory’s “Funniest Person in the World” (FPIW) search. Filipino stand-up comedian Alex Calleja is leading in the semi-final round of Laugh Factory’s “Funniest Person in the World” (FPIW) search. His video has now reached 2,505,141 votes followed by Malaysia’s Harith Iskander with 2,424,099 votes as of this writing. “Thank you so much, mga kababayan! Finally, we have taken the lead from Malaysia at Laugh Factory’s Funniest Person in the World! Please continue voting!” Calleja wrote on Facebook on Monday. Other contenders are from India, Ireland, Saudi Arabia, Israel, Greece, Uganda, Pakistan, Brazil, Singapore, Jamaica, Indonesia, Finland, Croatia, Macedonia, Norway, Germany, Czech Republic and Slovenia. Voting will end on December 5 and from 20 finalists, the final 5 will be announced the next day.